If you plan to attend the ISE show in Amsterdam, come check out our newest directional speaker offerings, including directional subwoofers. We will be showcasing our stuff at booth 8-H 275. Over the years, our directional speakers have been used in numerous applications to focus music. 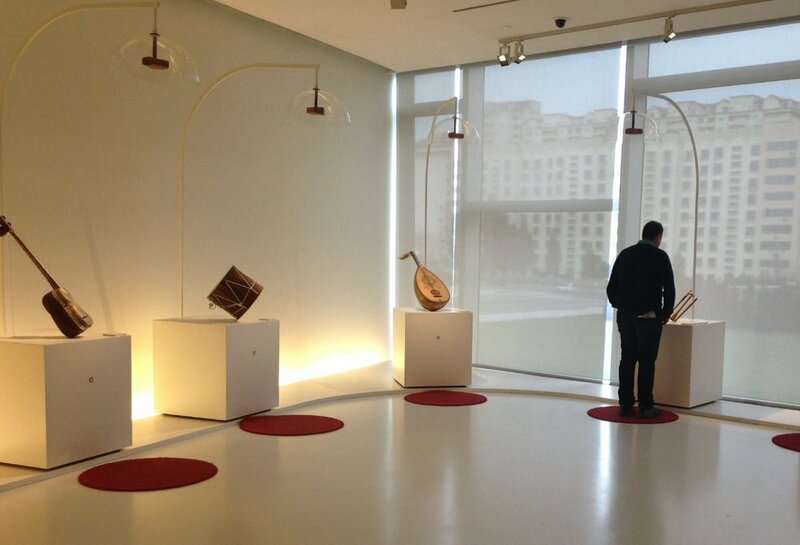 Recently, our sound dome directional speakers were installed at the Heydar Aliyev Center in Azerbaijan. In the picture above, different instruments are displayed side-by-side, each with a Mini Localizer mounted overhead. In the video below, a museum-goer walks from instrument to instrument and records the sound heard in front of each display. It's a great example of how our directional speakers focus sound in challenging, sound-reflective environments. 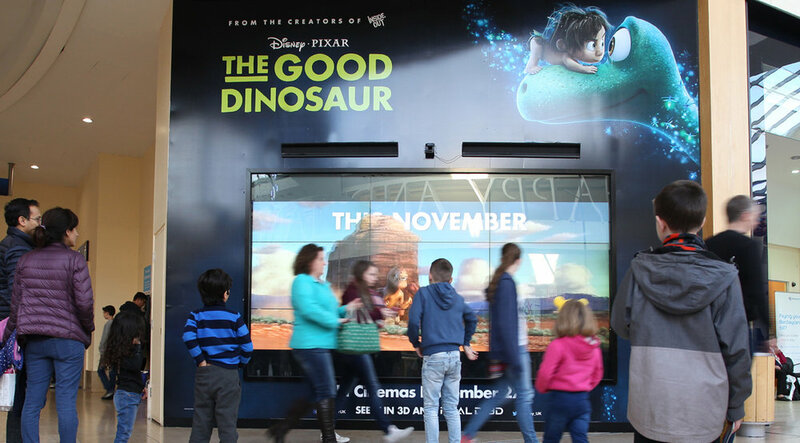 Over the past year, Brown Innovations and UK-based company Limited Space partnered on a number projects, including campaigns for Paramount, Walt Disney Motion Pictures and L'Oreal. In the gallery below, notice two SB-47 SonicBeams sitting flush above each screen. These directional speakers deliver crystal clear audio just in front of the video wall without bouncing sound and disturbing employees working nearby. 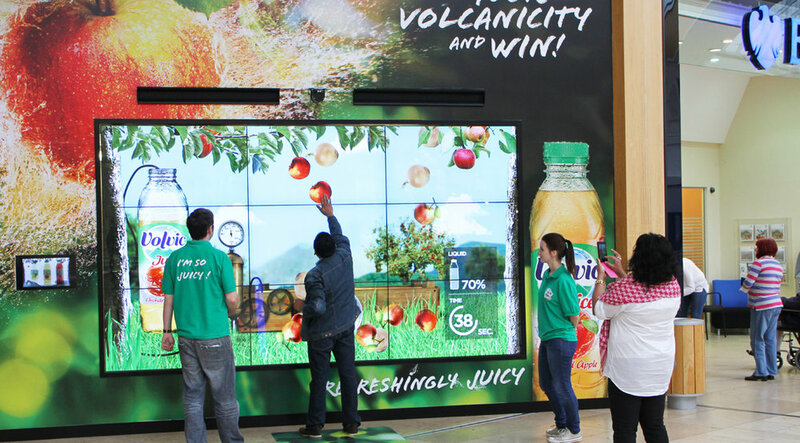 Visit malls across the UK including Bluewater, Metrocentre, Arndale and Bullring to see these in action! SB-24 SonicBeam directional speakers, seen here mounted above interactive displays, focus audio to individuals in front of the displays. Rio de Janeiro 's 2016 Olympics have come and gone. But the Olympic City Museum in Rio is there to stay. And thanks to directional audio from Brown Innovations, many of the museum's interactive displays play different audio presentations close to one another without creating a cacophony. The implementation of the SonicBeam audio-focusing speaker at the museum marks the use of the most advanced directional sound technology. Per the Rio Times, "The new museum is a part of the city’s Nave do Conhecimento program, whose goal is to establish spaces in traditionally neglected communities and bring technology and science to the area through courses, events, and workshops." Yesterday in San Francisco, AT&T opened it's new tech-centric flagship store, unveiling a one-of-a-kind retail experience for visitors. As part of the installation, AT&T tapped Brown Innovations to provide directional speakers that focus sound to specifically targeted areas. As part of the development, store designers needed audio directed to different sections of escalators that connect the store's first and second floors. 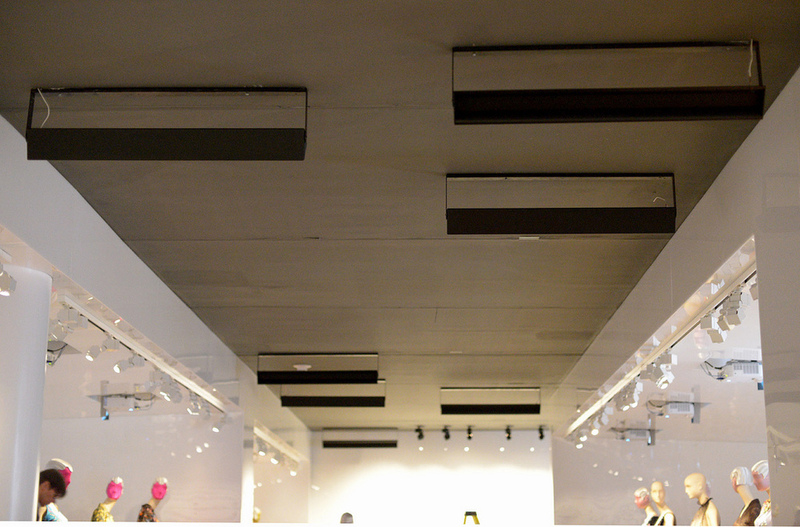 Brown Innovations provided a directional sound solution to meet the designers' needs. As visitors ascend and descend on the escalators, they pass through various zones and hear different focused audio presentations, each associated with a videowall. While these different audio presentations play in close proximity, each is heard distinctly, and without overlap. The installation is the most recent collaboration in a long-term working relationship between AT&T and Brown Innovations. Last weekend, Bruce Nauman's Contrapposto Studies, I through VII opened at the Philadelphia Museum of Art, where the American artist's installation spans two massive sound reflective galleries. Thanks to directional sound technology from Brown Innovations, museum visitors experience different audio broadcasts with clarity and focus. The exhibition runs until January 8th, 2017. Here's an enthusiastic and concise explanation of how well our new directional speakers keep sound focused to tight zones. It was filmed at Infocomm 2016 in Las Vegas, Nevada by DJ News. Have you ever wondered what goes on behind the scenes at the most famous sketch comedy show of all time? Well now you can. “Saturday Night Live: The Exhibition,” allows SNL fans to experience the shows iconic Studio 8H and the preparation that goes into producing the show each week. The installation includes interactive displays and video screens playing many of the well known comedy skits from the past 40 years. While the frequent jokes and one-liners are funny, having the exhibition space sound like an arcade is no laughing matter. The designers needed a way to make sure the audio from each screen could be playing simultaneously without bleeding into other areas of the museum. Premier Exhibitions were tasked with finding a solution for this audio dilemma. Brown Innovations’ SB-47 was chosen as the best solution after thorough research and testing of other speakers on the market. Everyone on the exhibition team was impressed with the quality of audio produced by the SB-47. Other speakers that were tested had a very thin and tinny sound and did not isolate audio as well. The Brown Innovations’ SonicBeam is able to combine both focus and fidelity making it the speaker of choice among designers and integrators. “Saturday Night Live: The Exhibition,” is open to the public beginning on May 30th, 2015. The exhibit is being held at Premier Exhibitions permanent exhibition center located at 417 5th Ave in New York City. This autumn, Screen Bar in Singapore implemented the latest BarSound directional speaker technology from Brown Innovations so each table could enjoy a unique listening experience. In addition to the Quadeo Sound Domes over the tables, Screen Bar also installed SonicBeam Directional speakers to keep sound isolated only to patrons standing at the main bar. In total, eleven Quadeo Sound Domes and two SonicBeam directional speakers were used. The installation is the first of it’s kind, and could prove to be a game-changer with how bars and restaurants utilize audio with multiple screens. Some things in the world never change. There will forever be airline delays, overbookings, and flight cancellations. Finding the serenity to accept such unchangeable realities is often difficult. But if you find yourself stuck in Terminal 5 at Heathrow Airport, you might find the wait isn’t so bad. 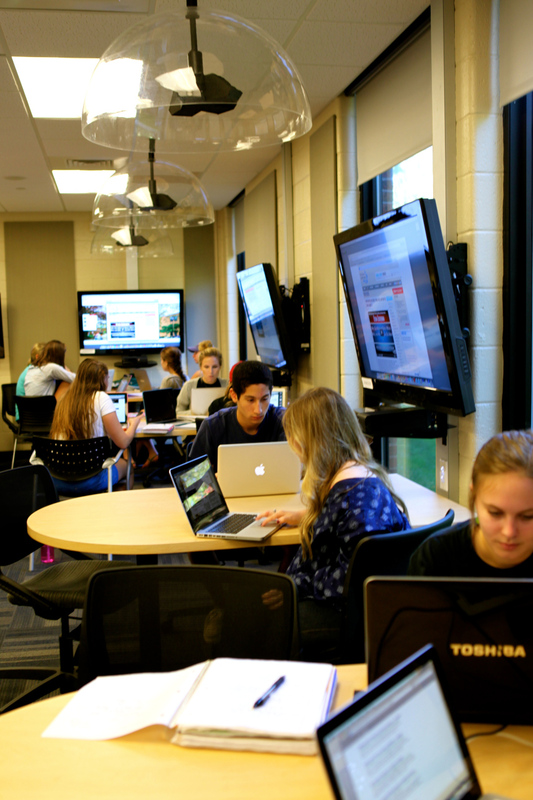 World Visual Communications has installed more than 60 Samsung displays equipped with Brown Innovations Maestro directional speakers. From news broadcasts to sports coverage, sitcoms and more, stranded travelers can now enjoy a complete viewing experience thanks to the focused audio. 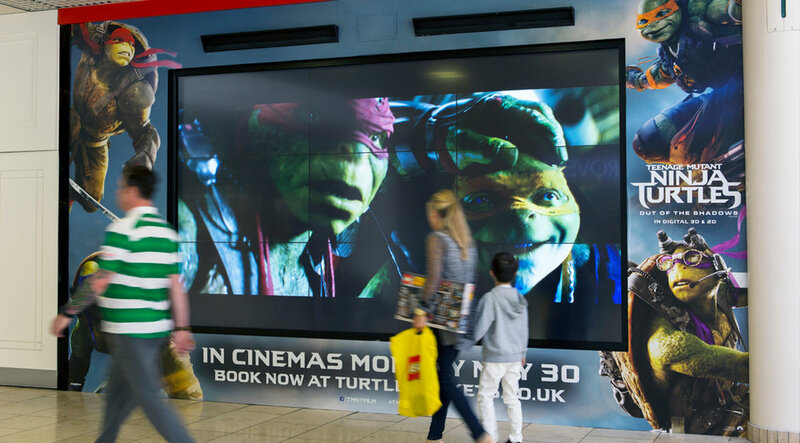 It’s a topic of endless debate in the digital signage sector: Will audio enhance your display or be disruptive and get your display unplugged? 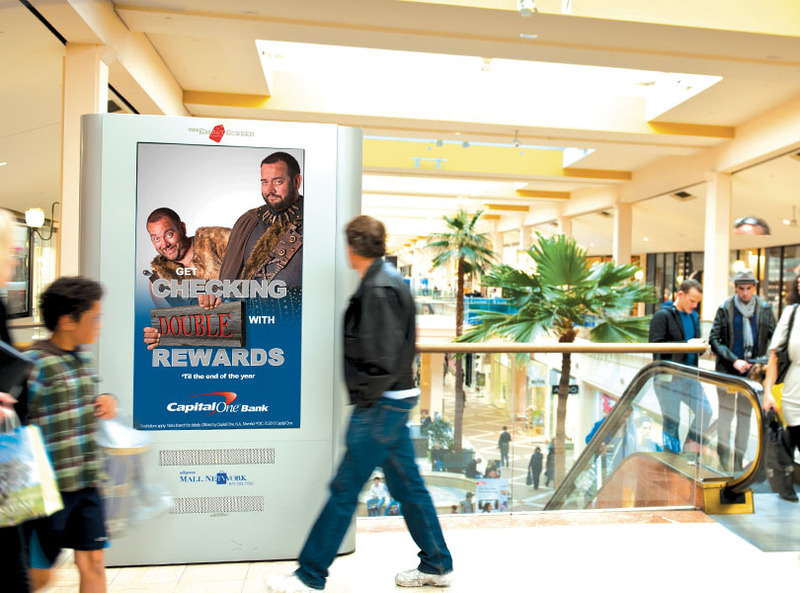 For AdSpace Networks, America’s largest in-mall digital signage network, directional audio has played a key role in their success. 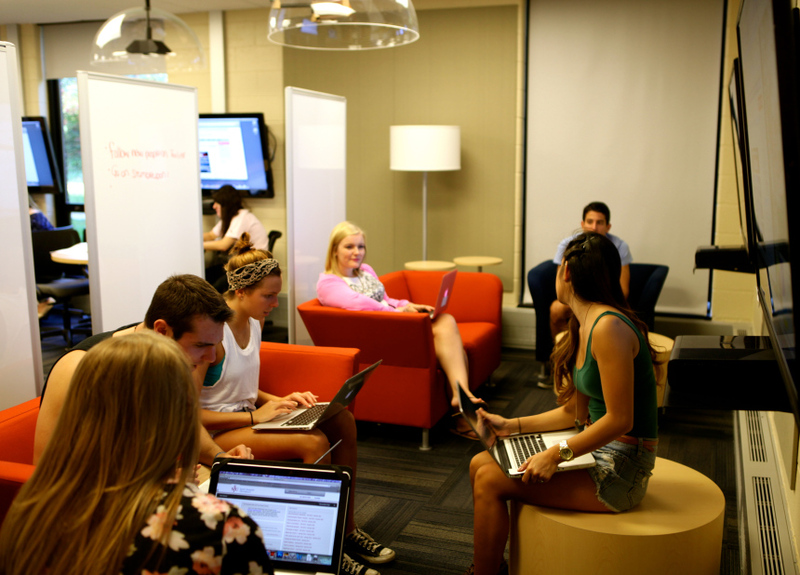 As a result, Adspace’s model is changing how others look at utilizing audio. 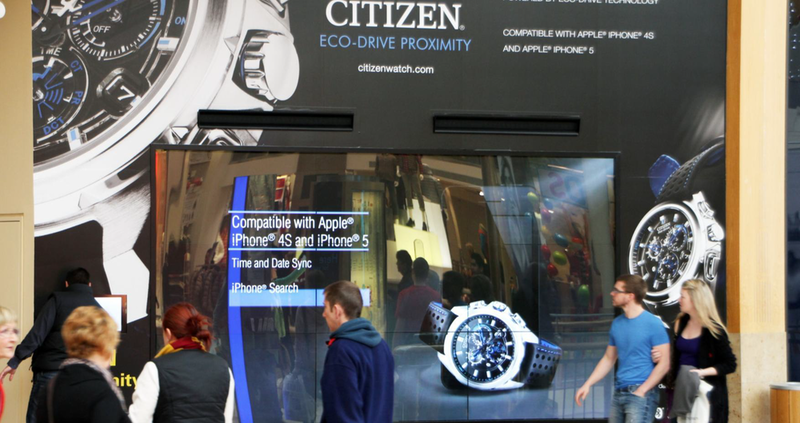 For years, digital signage networks have avoided audio due to problems with sound bleed. Frequently referred to as “employee burn,” conventional speakers blaring repetitive audio invariably lead nearby employees to unplug displays or even cut wires. After research and tests, AdSpace chose the Brown Innovations Maestro to ensure audio doesn’t disturb mall employees and patrons. The network has become an attractive medium for advertisers wanting to deliver more dynamic content. “We like to think of our screens as living posters and encourage our advertisers to take advantage of our unique, full motion video and audio-enabled medium with truly captivating creative,” says the AdSpace website. Dolce & Gabbana, Giorgio Armani, Estee Lauder, Coach, Ann Taylor, Banana Republic and Sean John are just a handful of companies advertising on the network. In total, the network currently consists of 2844 displays and reaches 48 million unique individuals per month. 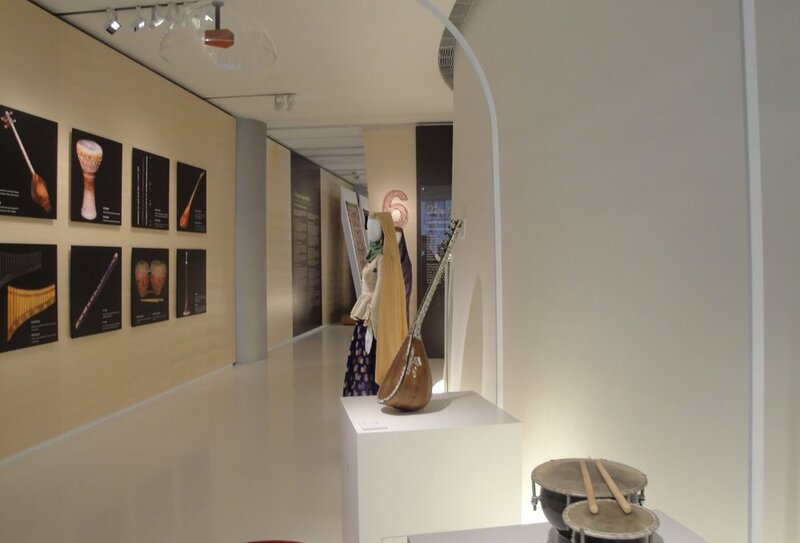 Rome, Italy - In the Charlemagne Wing of St. Peter’s Square in Rome, an exhibition celebrating diplomatic relations between the Vatican and the Republic of Azerbaijan features a music section containing various instruments and interactive displays. To prevent sound bleed from the displays, exhibition designers chose Brown Innovations Localizer sound domes to keep audio contained to their targeted listening areas. The exhibition was organized by the Heydar Aliyev Foundation and the Pontifical Council for Culture. 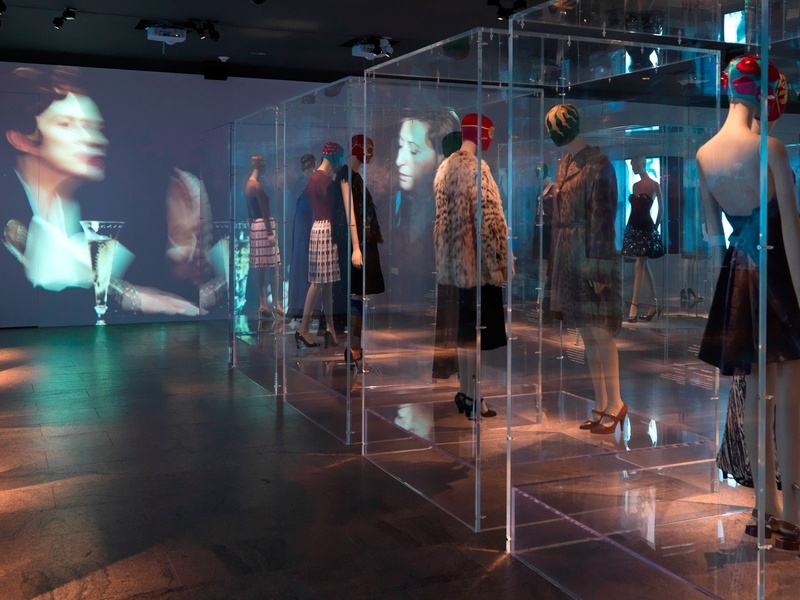 New York, NY – The Metropolitan Museum of Art’s newest exhibit “Impossible Conversations” features a series of imagined conversations between Elsa Schiaparelli and Miuccia Prada, two Italian-born fashion designers who lived in different eras and never actually conversed. 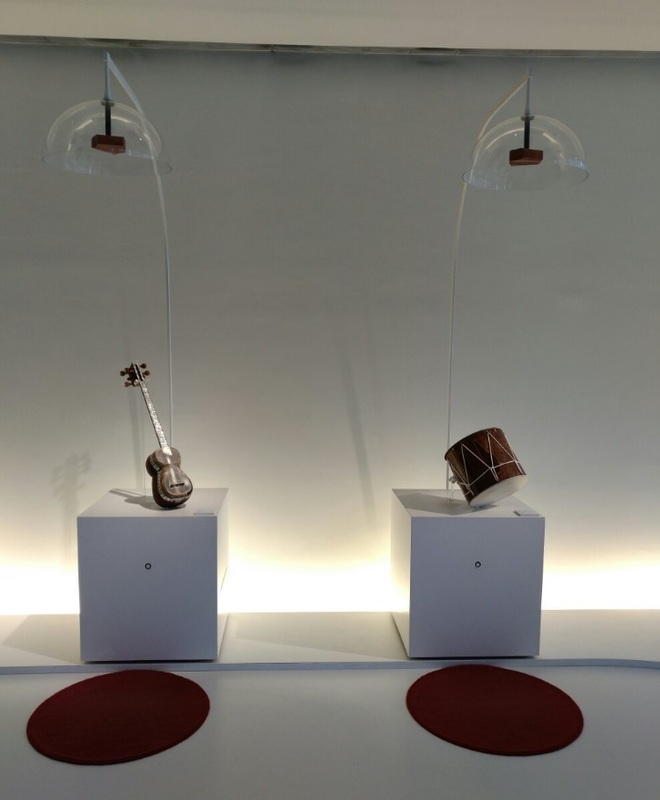 For exhibit designers, “impossible” took on another meaning: in a sound reflective gallery, these conversations would be impossible for visitors to experience with traditional speakers due to the acoustical challenges of the space. Brown Innovations made these conversations possible by introducing custom designed directional speakers to ensure the exchanges are heard clearly without overlap. 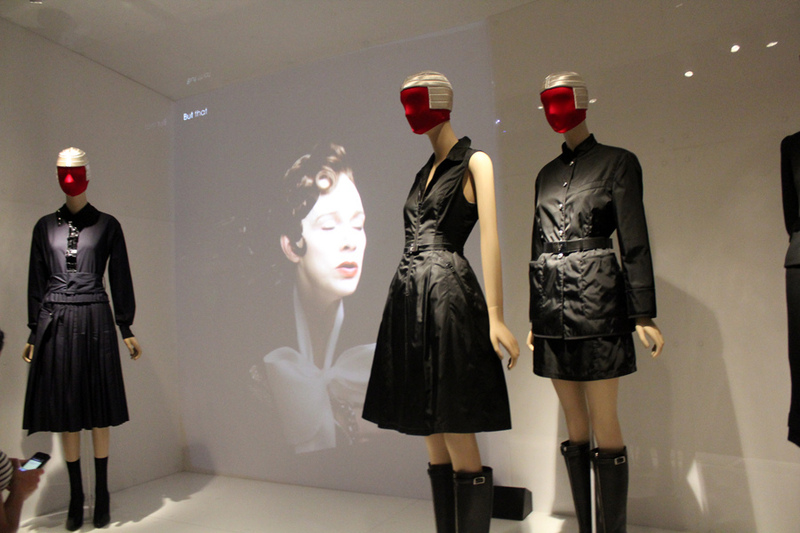 “You feel like you’re eavesdropping,” said Andrew Bolton, curator of the exhibition who coupled iconic designs by Schiaparelli and Prada with videos in which their make-believe exchanges are heard. Visitors experience a succession of different digital discussions as they walk the exhibit‘s narrow corridor. Remarkably, none of the conversations interfere with one another. “The exhibit was designed with an incredibly challenging acoustic specification,” said Kevin Brown, head engineer at Brown Innovations. “The space has granite floors, acrylic walls, and sheet rock ceiling. I used every trick I could think of to focus sound where it needed to go.” Despite the challenges, Brown implemented a directional speaker that successfully keeps audio contained to their target zones. Check out the video below to hear a demonstration of the speaker's directionality. Our SonicBeam directional speakers are mounted above the display. 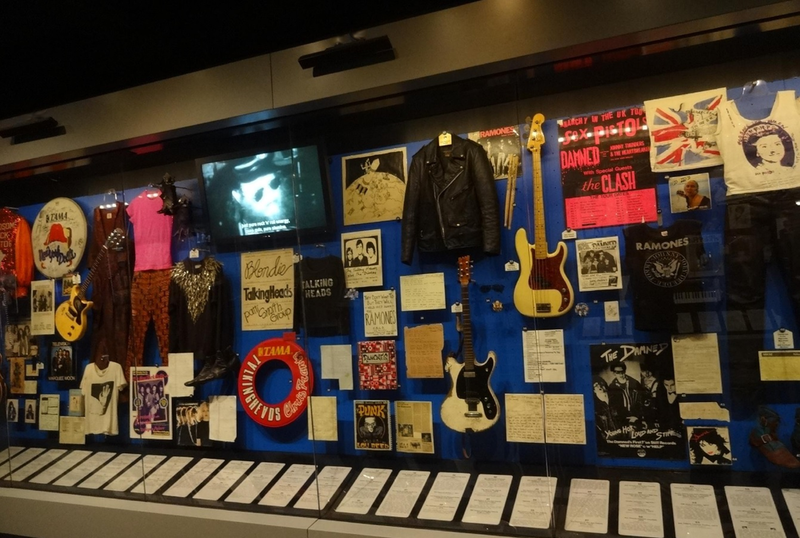 Cleveland, OH – This week, as the Rock Hall of Fame (RHOF) inducts Red Hot Chili Peppers, Guns n’ Roses, and Beastie Boys, the Museum concurrently unveils newly renovated exhibits equipped with state-of-the-art directional audio systems from Brown Innovations. The technology significantly enhances the visitor experience at a landmark where sound and audio quality are paramount. A primary goal of the facelift was to eliminate sound bleed. RHOF President, Terry Stewart, said, “A great deal of what the renovation is about is reacting to what we’ve learned about the building.” Stewart and museum architects realized directional speakers were required to prevent different music tracks from overlapping and creating a cacophony of noise. Challenged to find a speaker capable of focusing sound while maintaining high quality audio, the museum tested all options. Research and evaluation found Brown Innovations custom speakers could discreetly send stereophonic sound to explicitly targeted listening zones. Individuals or small groups in these zones enjoy an audio experience with depth and dimension, while just an arm’s length away others hear virtually nothing – or enjoy a completely different audio presentation. “Before the renovation, audio bleed was a major issue. We addressed it with Brown Innovations focusing array loudspeakers strategically placed to keep patterns tight, give better directionality, and minimize bleed,” said Kent. “The architectural changes and technology helped to shape distinct rooms and experiences with their own individual characteristics,” added Paul Westlake, managing principal at WRL. The Rock Hall of Fame Induction runs from April 5th through April 14th. All exhibits will be open to tour during the event, including the museum’s newest exhibits, “The Grateful Dead: The Long, Strange Trip” and the 2012 Hall of Fame Inductees exhibit.